This cable is great for creating railings around decks, porches, docks, and stairs, particularly if you want to keep a clear, unobstructed view of the area. US Cargo Control has introduced a new category of cable railing products, available in both stainless steel and galvanized steel, as well as vinyl-coated options. Also known as aircraft cable or deck railing, this light-duty wire is popular for creating stair railings, deck railings and guidelines around docks, but can also be used for a variety of other applications such as garage doors, exercise equipment, sailboat rigging, etc. 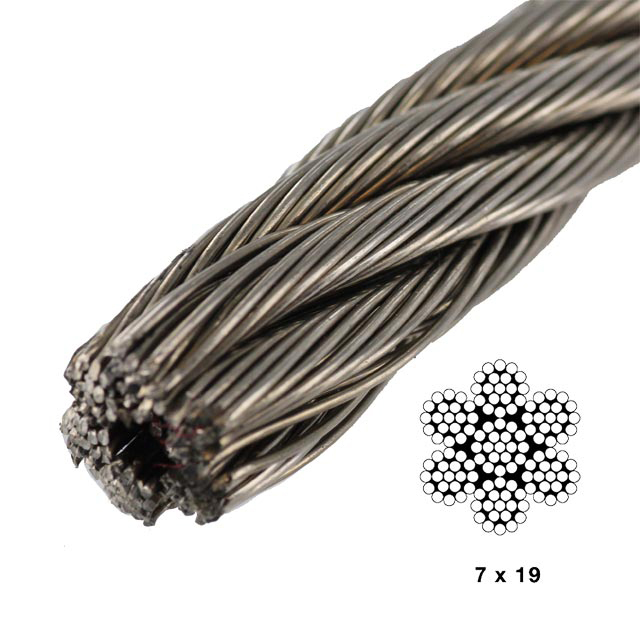 The e-commerce company sells the cable railing on its website, uscargocontrol.com, in a 7x19 construction, which is comprised of 7 groups of 19 wires. According to Ben Rechkemmer, VP Purchasing and Logistics, the 7x19 construction gives the wire the ideal combination of both strength and flexibility, while maintaining a narrow profile. “The 7x19 construction makes this cable great for creating railings around decks, porches, docks, and stairs, particularly if you want to keep a clear, unobstructed view of the area,” said Rechkemmer. Rechkemmer also said the company is carrying the aircraft cable in a galvanized wire as well as stainless steel wire in two different types: 304 and 316, so customers can use the cable outdoors, regardless of the environment. A vinyl-coated wire is also available with the type 304 and galvanized steel fabrications, to offer even more protection from UV rays and general wear. US Cargo Control also sells a full line of wire rope accessories including clips, thimbles, sleeves/stops, and turnbuckles so customers can create completely customized cable railing systems. US Cargo Control was founded in 2005, offering products for the trucking, hauling, rigging, lifting and moving supply businesses through its US Cargo Control.com website. The company quickly expanded its brand portfolio to include additional web properties under the Clickstop company name, including EcoFoil.com, SpaceSavers.com and BellyBling.net. For more information visit clickstop.com.